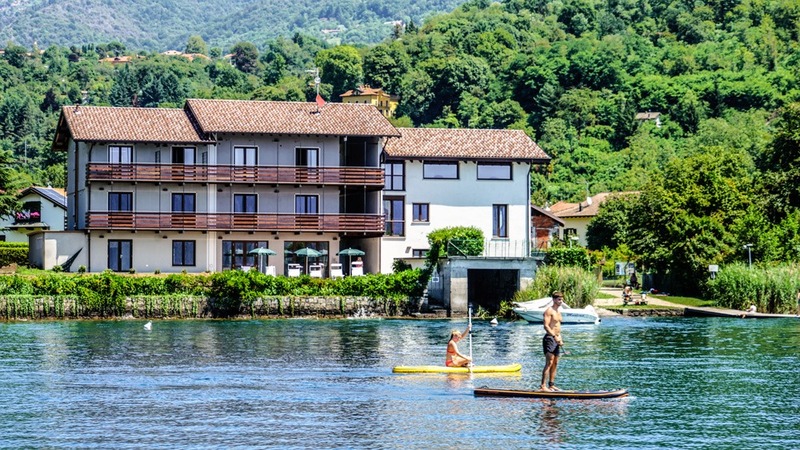 Cascina Tumas Orta Lake of Pettenasco is an elegant and refined structure consisting of 9 holiday apartments of different sizes, with different layouts and facilities. 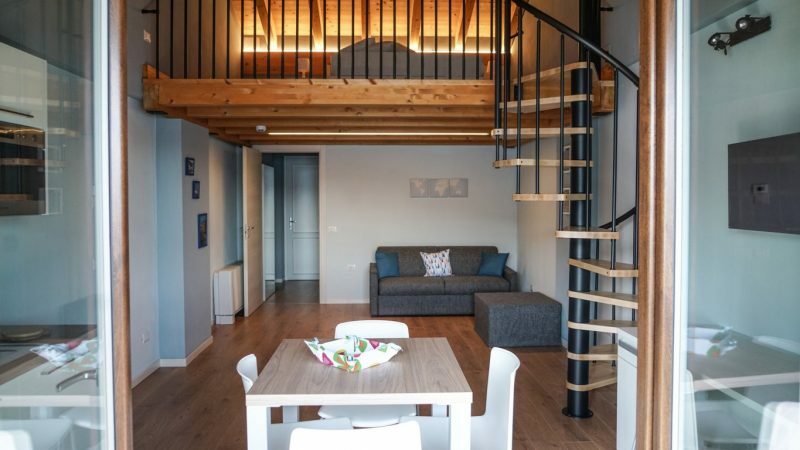 Two apartments are also equipped with specific equipment for overcoming architectural barriers. 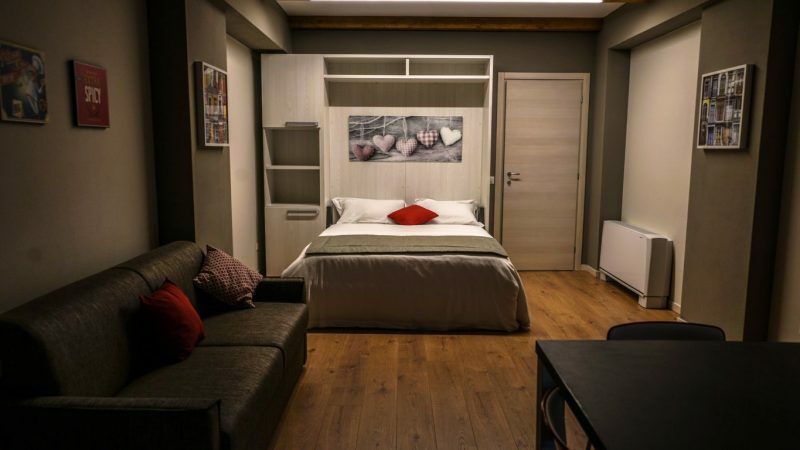 The family management of the structure allows guests to feel at home, to appreciate the friendliness and availability of the managers, guaranteeing a holiday in a welcoming and person-friendly environment. All the apartments enjoy a wonderful and suggestive lake view, from the balconies, equipped with tables and chairs, on the lawn side. 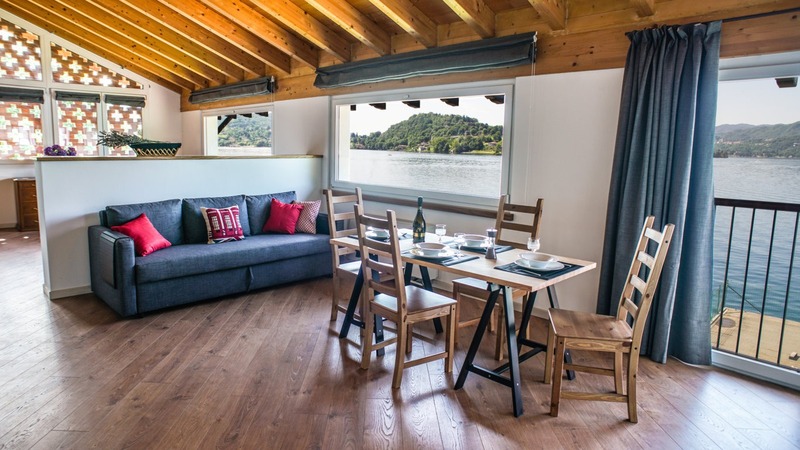 Cascina Tumas offers its guests the opportunity to dock boats and motorboats in front of the structure itself, thanks to the descent to the lake and the presence of 4 buoys and a covered dock. Sunbeds, deckchairs and umbrellas by the lake are available to tourists for moments of relaxation and rest. 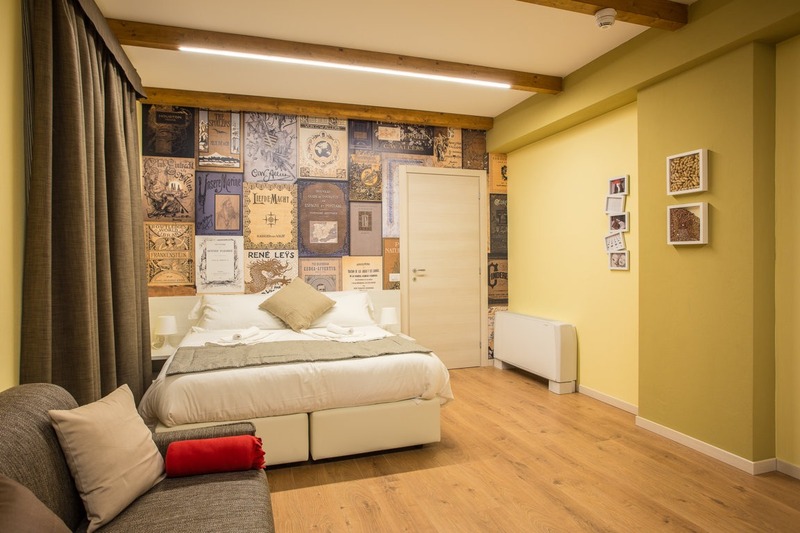 Cascina Tumas takes its name from the old farmhouse of the early twentieth century, a family property, restored and restored from which the complex was built. The larger apartment and the reception are located in this characteristic building; the massive masonry stones and the bricks arranged in the peculiar cross shape that created the typical openings to aerate the hay prepared to dry, have been kept to let the tourists breathe the rustic atmospheres of past times. Starting from this ancient core, the other 8 duplex apartments were then built from scratch. Wood, stone and brick create a special combination with the lake nature in which Cascina Tumas is immersed, offering tranquility and splendid views to customers. 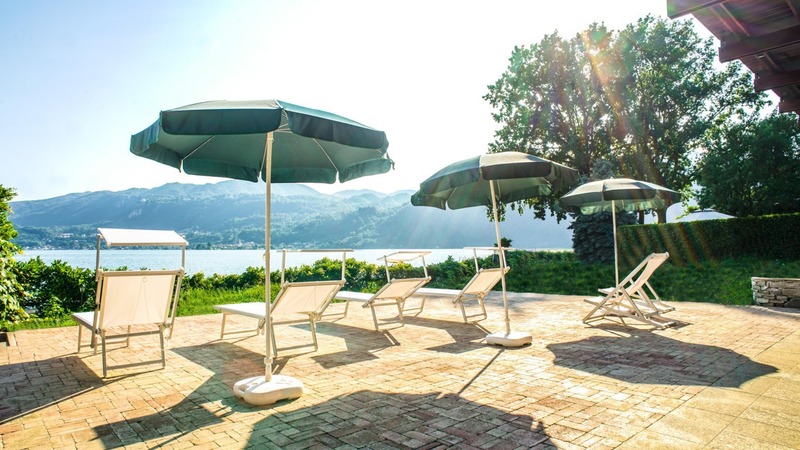 Its exclusive location allows you to quickly reach the most suggestive areas of Lake Orta, by car or using the boat service that dock in Pettenasco, a hundred meters from the Cascina. You can’t miss a trip to Orta San Giulio with the Sacro Monte complex, the square and the characteristic streets; the small villages of Pella and Ronco on the opposite shore; the Island of San Giulio in the center of the lake on which stands the Benedictine monastery Mater Ecclesiae; Omegna and Gozzano with the Basilica at the top of the hill, the ancient noble palaces and the 12th century Buccione tower. On foot you can walk along the beautiful lakeside promenade that winds to the right and left of the Cascina across Pettenasco. But even the mountain is easily accessible: the Mottarone, the Strona Valley and the Ossola valleys. The structure is also located in a strategic point from which to explore the many nearby cities, such as Novara, Verbania, Domodossola, Milan, Turin or the Piedmontese coasts of Lake Maggiore, visiting Stresa and the Borromean islands or for the bravest, launching with the zip line above Verbania.